Finally, Salt and Sanctuary has arrived on the PS Vita and yes, the long wait was absolutely worth it. Salt and Sanctuary tells the story of a sailor who got shipwrecked on a mysterious island who has just one goal: to find and save the princess. On his journey he will discover a dark and unforgiving world full of enemies and evil. When you start the game, you can choose between one of the eight classes Knight, Mage, Paladin, Thief, Chef, Cleric, Pauper, and Hunter. The chosen class affects the gameplay as each of them plays differently which adds lots of variety to the game. For example as Knight you will use more sword weapons and as a Cleric, you will be using more magic. 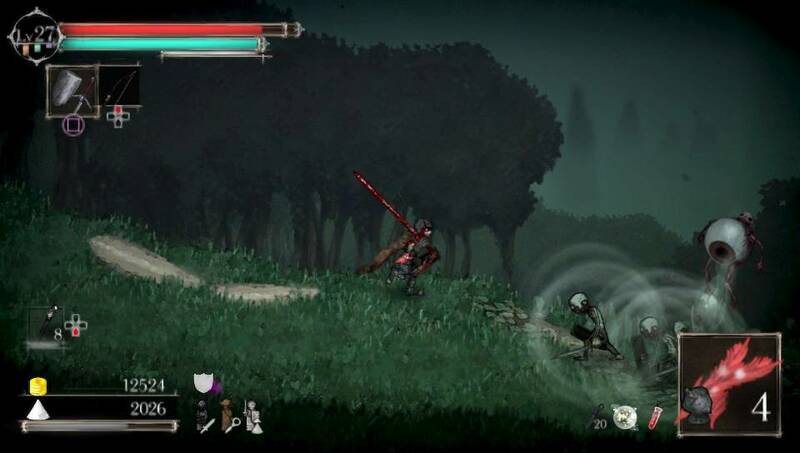 The gameplay is a mixture of Dark Souls and Castlevania and also adds some Metroidvania elements to it. When you fight enemies, you get salt which you can use to level up your character or to upgrade your weapons. Like in Dark Souls, you will lose the salt when you die but you can retrieve it when you go back to the place of your death and defeat the enemy which previously killed you. 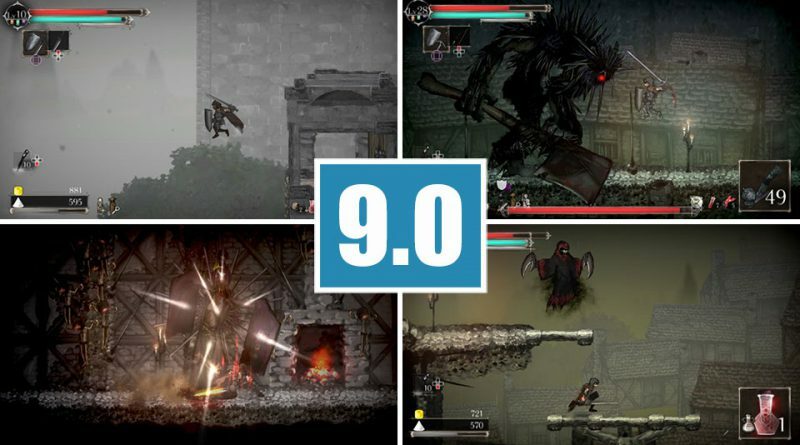 Speaking of gameplay, Salt and Sanctuary is quite challenging and unforgiving and you will die a lot. The earned salt should be used for leveling up your character as well as to improve your weapons. This can be done in the sanctuaries which you will discover throughout the island. In a sanctuary, you can heal your character and it is also used as a returning point after death. When leveling up, you always get black or grey pearls which you can use in the Tree of Skills, the game’s skill system. Depending on the class, you can chose your own “path” on how you want to strengthen your character and its abilities. With black pearls, you can purchase skills and with grey pearls, you can remove skills you don’t want anymore. During your journey, you will also find several add-on weapons or enhancements which will help you fighting the enemies. For example red grass can be used for healing your character or daggers can be used to fight enemies from a secure distance. You also find several rings which will enhance different abilities like reducing wounding effects or increasing endurance. A maximum of four rings can be equipped at once. Found charms also improve different abbilities or skills of your character. The chosen equippment affects the gameplay a lot as each weapon or armour has a different weight which results in more or less dexterity of your character. Especially with boss fights it’s important to have the right equippment as depending on the surrounding and the boss, faster movement is needed or better armor or other weapons. 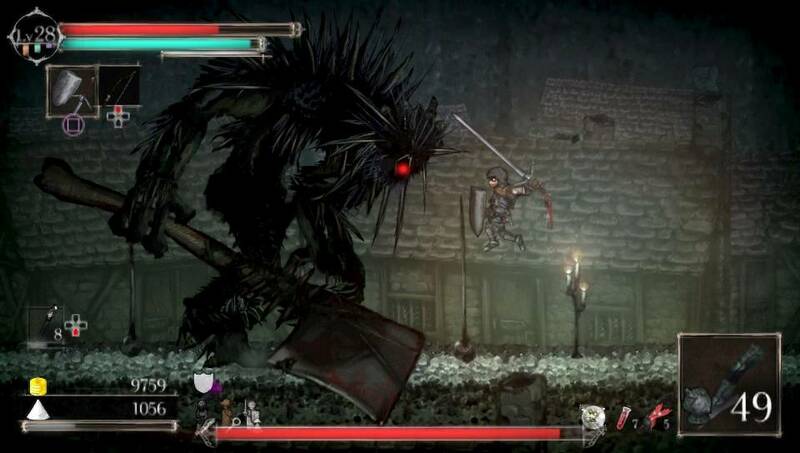 Salt and Sanctuary features lofs of weapons and you will encounter over 20 powerful bosses to fight, with some of them that can be a bit frustrating. The game’s level design is awesome and throughout your adventure you get new abilities to access former unreachable areas. 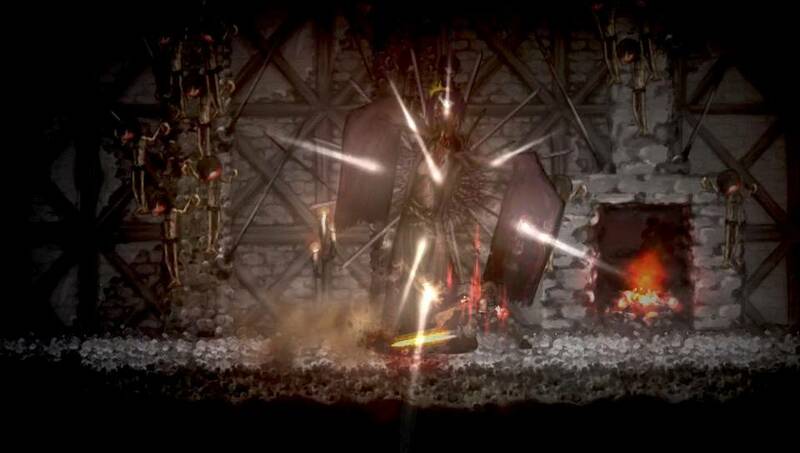 The atmosphere of Salt and Sanctuary is very intense as you always might encounter your next death. Although you die a lot, it never gets boring as you always can try different equippment or level up your character until you feel prepared for the next fight. Salt and Sanctuary plays and feels great on the PS Vita and Sickhead Games, the studio responsible for the PS Vita port, did a great job. The game runs smoothly most of the time, only in some regions the game can stutter a bit, but it never hinders the gameplay. Only in the sound department, the game is a bit weak as there is not much variety of music, but the sound effects are good. 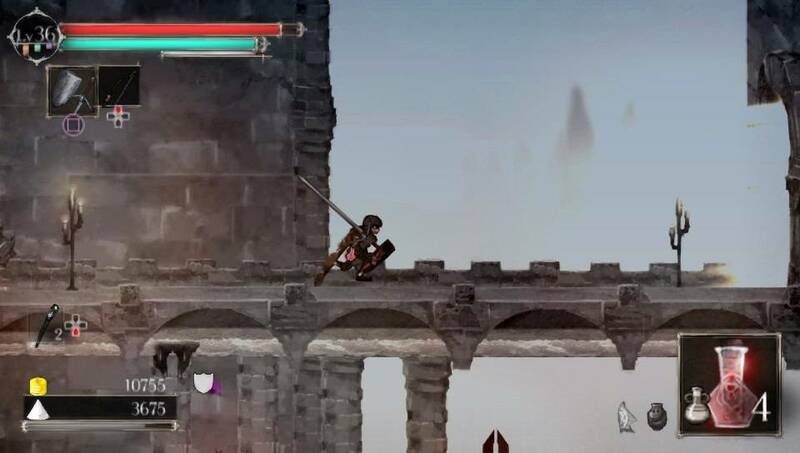 Salt and Sanctuary is a great 2D Dark Souls meets Castlevania with Metroidvania elements clone which every PS Vita owner should own. Although the game is quite challenging, this is the salt that makes it worth to play. The review was written and provided by Michael. All screenshots are taken from the PS Vita version.